Hello crafty friends. 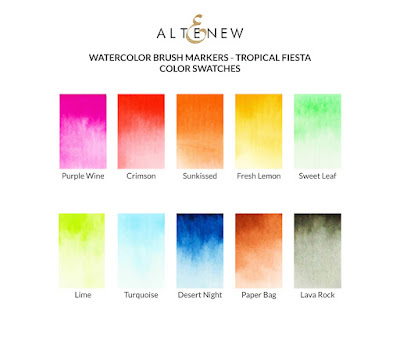 Welcome in Altenew Watercolor Brush Markers Release Blog Hop. Altenew did it again with releasing new, amazing product. I have been a fan of watercolor brush markers for a long time and this set is a dream come true to everyone, who loves rainbow colors. New set is called "Tropical fiesta" and it's true feast for the eyes. 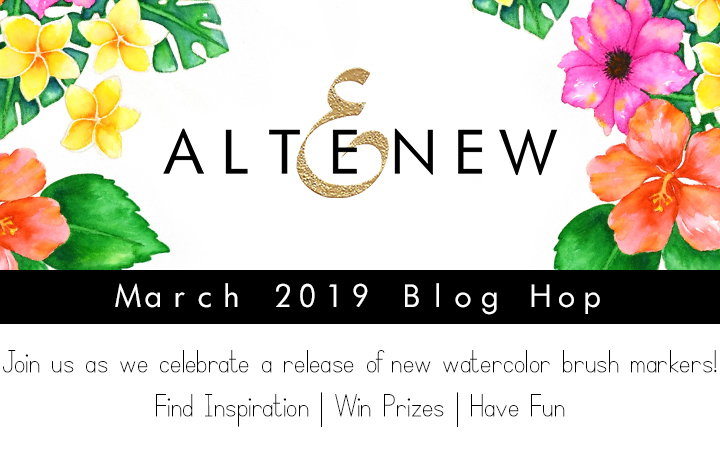 To celebrate this release Altenew is hosting a blog hop and I am lucky to be a part of it. 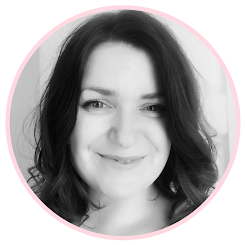 If you came here from Tania Ahmed's blog, you are in the right spot. If not, start at Altenew Card blog. As I mentioned, I used "Tropical fiesta" set along with amazing stamp set called "Wallpaper art" with coordinating dies. They will be also drawing a winner to receive a $20 gift certificate from the comments left on each designer’s blog on the blog hop list below. All winners will be announced on the Altenew blogs on 3/31/2019. Your next step is Maryam Sharara's blog. Thank you for stopping by and good luck. This presentation is so appealing. Beautiful work. The rainbow effect is fabulous. Awesome page. Wow! What beautiful colors and cards! I just love the opulent waves of color on your layout Anna! Gorgeous colors! These new markers are a must have set! Love the vibrancy of the colors on your LO Anna, your page design is fabulous! Thanks for the inspiration! I love, love, love this page! Its amazing! I love how you have the rainbow of vivid colors! Love the layout!! So bright and happy! STUNNING page!! Your watercoloring is amazing! Gorgeous job , I’m going to try this idea out ! Like a watercolored rainbow, so pretty. Thank you for sharing! A very beautiful layout! I love it! Gorgeous flowers and I love the layout! What a sweet photo! And a beautiful layout. Absolutely DARLING layout! I love the picture I love the vivid colors! Beautiful layout and great new color set! I love the rainbow effect of your layout. 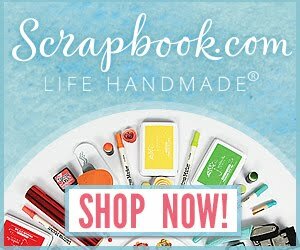 I don't scrapbook, but if I did I would want it to look like yours! This is so gorgeous!!! I love how the colors from the flowers "bleed" out onto the background! Fabulous layout! Gorgeous new colors of Watercolor Brush Markers. Love your amazing watercoloring technique and great video. Beautiful layout, Thanks for the chance to win and sharing. Wow... this is absolutely gorgeous! Beautiful page with these fabulous colors! Such pretty flowers and a darling pic too! Very well done! Gosh, this is just so beautiful!! Love the vivid colors of the rainbow and your design of the layout itself! WOW!!! You did an amazing job on this! Amazing colours! So beautiful page! Wow!! I think that’s the best layout I have ever seen!!! It is stunning. I love the flowers, the rainbow color wash, everything!! It’s gorgeous!! Tricia Podmore here, what a stunning page.I agree that if you had stamped in black it would have distracted from your gorgeous backgroun. What a cute little girlin the photo. As an old mom, I still remember those days when you hope you will make it through the day. Thank you so much for sharing your talents and being so inspiring. Beautiful layout. A rainbow to showcase the adorable child in the picture! Beautiful layout and I love those flowers so much! They're just beautiful. Thanks for the inspiration and the video. What a stunningly beautiful layout! Anna, your layout is stunning! The background is perfect and love the way the wallpaper florals mtch. So beautiful! Beautiful layout! Would transfer to a card size easily I think. Thanks for sharing. Very sweet layout. The photo is just adorable. Thank you so much for sharing your pretty scrapbooking talents. I love how the watercolored background framed this sweet photograph. Your layout is stunning! The colors and design are wonderful! LOVE!! Thank you so much for the inspiration!! Oh, what a beauty. The colorful layout and the little one. Such stunning colors. Your layout is so inspiring. So fun and colorful. Absolutely love it! Thanks for sharing your creativity! Truly amazing layout! Love the detailed flowers with the clouds of color trailing off to the side. Great showcase of the watercolor pens. Precious scrapbook layout. I love the rainbow background and the colors of the flowers. The baby is darling. Thanks for sharing your time and talent with us. Gorgeous layout. I love the that the flowers match the background. So pretty. Amazing page! I love your colors. Absolutely beautiful layout and such a sweet subject! Your page is absolutely gorgeous. I love the vivid colors and the background you created with the markers is amazing. Love your layout and the rainbow look of it. Gorgeous colouring and it sets off the picture so nicely! Your layout is very nice. I like the way you used the markers to show the ombre effect with them. I LOVE that background and will definitely be trying it when I get my brush sets! STUNNING layout, Anna, with your beautiful watercoloring and the way you painted those flowers. The overall design is just so lovely. Such a beautiful layout ! Wow, stunning layout! I love the rainbow of colours you used! Stunning layout and process video too! So super sweet Anna! I love the way you have used bands of colour incorporating backgrounds and flowers! Stunnning! Thanks so much for sharing and the great inspiration! Absolutely stunning layout. The rainbow effect is gorgeous. I love the beautiful flowers. Stunning layout! I love the way the color bleeds across the background! You should be happy about how this turned out; it's gorgeous! What a beautiful rainbow of colors and a great way to use the watercolor markers to create so many different shades. Thanks for sharing! Amazing layout and stunning watercoloring. Absolutely gorgeous! This rainbow layout is just fantastic! I love how you carried the colors across, just so pretty!